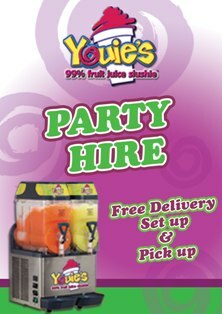 Schools Free Machine, Youie's slush machine hire , kids party machine hire, frozen slushies, party hire, Melbourne, Victoria, slush, young, kids, 99% fruit juice slushie, party hire, events, slushie machines, slushy machines, Melbourne hire, slush, frozen, freeze, party, fruit, drink.. The best beverage catering and party hire company. 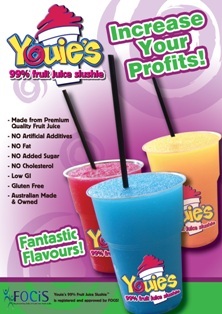 Hire a youie's frozen slushie machine, slushy machines.